The German leading project consulting company in life science field, Ensymm UG&Co.KG, managed the investment of Sheik Mohammed Alemadi from Qatar in NanoSilicalDevices (NSD) in 2017. Since this investment Ensymm enters a strategical partnership with NSD to generate further investment opportunities in NSD to support the R&D progress and reaching the target to become a leading biotech company for nanosilca based drug delivery developer. EnsymmQ has been founded in Qatar to serve the GCC and MENA region with project consultancy services in life science field. Ensymm is exclusive global distributor of Optilactase products in pharma industry for Optiferm GmbH. 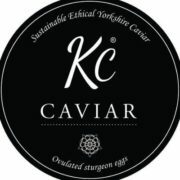 Dr. Dehdari is new shareholder and Strategical Advisor of KC Caviar Farm in Yorkshire, UK, the first sustainable, ethical and organic caviar producer worldwide. ensymm establishes a strategical partnership with IcefreshQ, Doha/Qatar. Dr. Dehdari becomes a Strategical Advisor of IcefreshQ. Ensymm was working as a business plan service provider of Qatar Development Bank (QDB) from 2015-2017.
ensymm establishes a project partnership with Hanseatik Handel Company in Hamburg, Hanseatik Handel will cooperate with ensymm, especially with focus on trading and financial services. ensymm starts with HEBA enterprise a project partnership in the field of life science-especially in the region of GCC. ensymm company is a new shareholder of Bio Gas company New Zealand. Disolut Company signs a strategic alliance with ensymm to use ensymm network for entering distribution market outside EU.